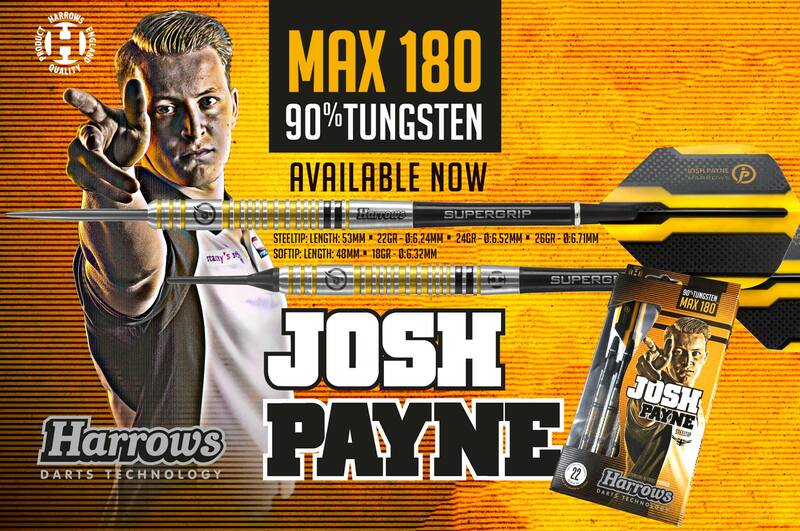 Harrows’ technicians worked closely with Josh Payne to develop his new 'Max 180' darts. High grade 90% tungsten is given a tough, gold titanium nitride coating, before undergoing a unique, 2-stage machining process. The resulting dart is perfectly balanced and offers incredible grip. The darts are match weighed to +/- 0.05 grams and fitted with Supergrip shafts and new Josh Payne flights.